Which top-five finisher in the 2018 GEICO 500 has best shot to win? Ladies, gentlemen, boys, girls and Peep lovers all around the world, here to fill the Easter-weekend racing void, we give you ... the 2019 Peeps 400. Stewart-Haas Racing revealed a glimpse of perhaps the comfiest paint scheme in NASCAR on Thursday. Talladega is known for being unpredictable, producing a few shocking winners through the years. See the helmets your favorite Monster Energy NASCAR Cup Series drivers are wearing from all angles. Kyle Busch is up to 204 wins across all three NASCAR national series and is showing no signs of slowing down in the sport. With the help of computer modeling, we project how Joe Gibbs Racing driver Kyle Busch's beard will look in the coming months. Kyle Busch has reached over 200 wins. Kevin Harvick has jumped Dale Earnhardt with more than 100. See where today's stars rank compared to Hall of Famers. Ryan Newman spent the day with troops at Fort Bragg and met the family of a fallen soldier that he will honor at the 60th running of the Coca-Cola 600. NASCAR.com's Pat DeCola ranks the top 20 Monster Energy NASCAR Cup Series drivers after the race at Richmond Raceway and ahead of Talladega Superspeedway. Let's face it: there are some tricky driver names in NASCAR. We've ranked the trickiest, most oft-misspelled names of active racers. Jimmie Johnson has proved he has a need for speed. The seven-time Monster Energy Champ, completed the 26.2-mile Boston Marathon on Monday morning. Jimmie Johnson took on the Boston Marathon, and his peers took notice. Several of them took to social media to congratulate the seven-time series champion. Gateway Motorsports Park and World Wide Technology announced a long-term naming rights commitment Wednesday, shifting the motorsports facility's moniker. @nascarcasm imagines texts to Martin Truex Jr. following his win Saturday night at Richmond Raceway. NASCAR released its penalty report following the races at Richmond. See who was docked in the Xfinity Series following the race. See who has been making moves and passing cars all season long. With a six-figure purse on the line this season, the eNASCAR PEAK Antifreeze iRacing Series continues its 2019 campaign at the virtual Talladega Superspeedway for the sixth race of the season Tuesday, April 23 (9 p.m. ET, eNASCAR.com). NASCAR VP of Officiating & Technical Inspection Elton Sawyer joined NASCAR.com's Jonathan Merryman to talk what will be worked on over the off-weekend. Get the full rundown on the Xfinity Series Dash 4 Cash, including which races are included and how drivers become eligible for the program. Who has the most stage points this year? 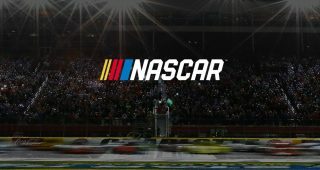 O’Donnell: iRacing and NASCAR’s growthSteve O'Donnell sits down with NASCAR.com to talk about esports and how iRacing can help grow NASCAR. All-Star Race 2019: ‘An opportunity to try some new things out’Two big changes in the 2019 All-Star Race will allow NASCAR to "try some new things out." O’Donnell: ‘We are lucky as fans’ to see what Kyle Busch is doingNASCAR's Steve O'Donnell talks about Kyle Busch's run and his 200th win achievement.